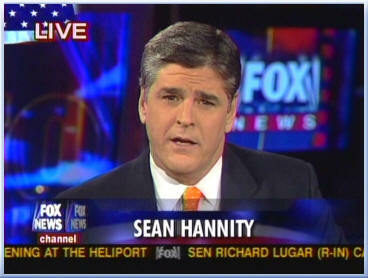 The guest on Sean Hannity’s FOX-NEWS show was celebrity biographer, Christopher Andersen. An establishment journalist with credentials of the first order—Time, People, Vanity Fair–Andersen had written some thirteen New York Times bestselling biographies in the past twenty years. He appeared on The Hannity Show to promote the fourteenth, Barack and Michelle: Portrait of an American Marriage. USA Today had accurately described the book as “a glowing ‘Portrait’ of the Obamas’ rock-solid marriage,” and yet here was Hannity pounding on one of the book’s few unfriendly revelations, namely Barack Obama’s friendship with terrorist emeritus Bill Ayers, the Weather Underground veteran who made “unrepentant” a household word. In September 2008, the literary detective work I had been doing led me to suspect a certain intimacy between erstwhile terrorist and candidate. Indeed, I had come to believe that Ayers had been deeply involved in the writing of Obama’s acclaimed 1995 memoir, Dreams From My Father. I went public with my suspicions in September 2008 and endured a year of sustained abuse from all corners of society, left and even right, as a result. And then Chris Andersen showed up on Hannity. On air, Hannity quoted Andersen’s claim that “literary devices and themes [in Dreams] bear a jarring similarity to Ayers’ own writings.” Asked Hannity, “Bill Ayers helped him with his book?” Andersen answered in the affirmative. Hannity, sensing perhaps he had gotten all he could, let Andersen move on, but the proverbial cat had crept rather publicly out the bag. In the immediate aftermath of the Andersen revelations, friends advised me to start writing my Pulitzer speech, but by this time I knew better. Too much depended on Obama’s authorship of Dreams. In their reading of the book, the world’s literary gatekeepers, an influential subset of the Obama faithful, had convinced themselves that Obama was too smart, too sensitive, too skilled as a writer to need anyone’s assistance. They believed this deeply enough to have built Obama’s foundational myth around his presumed genius. This, I sensed from the beginning, was a myth that one challenged at his own peril. 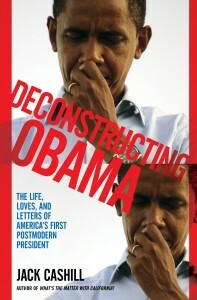 First published January 12, at DeconstructingObama.com. What’s up, every time i used to check blog posts here early in the break of day, as i like to learn more and more.